A’al Imraan 3: 185. Everyone shall taste death. And only on the Day of Resurrection shall you be paid your wages in full. And whoever is saved from the Fire and admitted to Jannah, he indeed is successful. The life of this world is only the enjoyment of deception (a deceiving thing). AllahY gave us examples of many people in the Qur’an who had everything of this world but didn’t please AllahY and so they lost the race. And of those who had nothing in worldly terms but pleased AllahY and so they won the race. All his wealth and power couldn’t save him from the anger of AllahY which his actions attracted and not only was he destroyed in this world but his punishment in the Aakhira is assured and made an example to deter others. Ash-Shuara 42: 36. So whatever you have been given is but a passing enjoyment for this worldly life, but that which is with Allah (Jannah) is better and more lasting for those who believe (Islam) and put their trust in their Rabb (Tawakkul). Ash-Shuara 42: 20. Whosoever desires (with his deeds) the reward of the Hereafter, We give him increase in his reward, and whosoever desires the reward of this world (with his deeds), We give him thereof (what is written for him), and he has no portion in the Hereafter. The key is to understand that we have been given the opportunity to write whatever we want in terms of our Aakhira whereas in this Dunya what we are destined to have has already been written. Those who understand this – play the game like Monopoly – they use their depreciating assets to buy appreciating assets which will last forever. They become good ice sellers – who convert their block of ice to money which doesn’t melt in the sun. Those who don’t understand this, use their ice to feel cool but at the cost of losing their asset and returning home empty handed. I ask myself what it is that allows a man to do this – to agree without question to sacrifice his only son who was born to him in his old age after years of asking AllahY? What is it even more, that allows a little boy to answer a question from his father like, “O my son! I have seen in a dream that I am slaughtering you (offer you in sacrifice to Allah), so look (in your heart) what do you see?” What did that little boy see that grown men who consider themselves to be educated and scholars today, don’t see? What was this Tawakkul based on? What was this relationship with AllahY that made this father and son so special that their Rabb revealed their story in the Qur’an and quoted them as examples for His Nabi Muhammadr and for all of mankind until the Day of Judgment? I hastened to You, O my Rabb, that You might be pleased – What a beautiful answer! AllahY liked it so much that He repeated Musau’s words in the Qur’an. ‘Rabbee – My Rabb’, said Musau. He is also my Rabb and your Rabb. But do we relate to Him as our Rabb? Do we have a relationship with Him? And if not, why not? Duha 93: 5. And verily, your Rabb will give you (all that you ask) so that you shall be well-pleased. Az_Zumar 39: 53. Say: “O ‘Ibadi (My slaves) who have transgressed against themselves (by committing evil deeds and sins)! Despair not of the Mercy of Allah, verily Allah forgives all sins. Truly, He is Oft-Forgiving, Most Merciful. My brothers and sisters, we were sent into this world for a purpose – to do a job and go back home. We forgot why we came, what we were sent to do and that we have to go back home. We got lost here and started living here as if this is where we have to stay forever. But our foolishness doesn’t change reality. We still have to return home and give account of what we did about the job we were sent with. That is the reality. This world is the world of camouflage. Camouflage is used for one of two things – to save yourself or to kill your prey. The one who gets fooled by camouflage either goes hungry or dies. That is the reality of our life. Ask yourself, ‘What are the things in my life which are in camouflage? What are the opportunities that I am losing or the danger that I am facing because I can’t see through the camouflage?’ Let us ask this question and open our eyes before our eyes are opened for us. 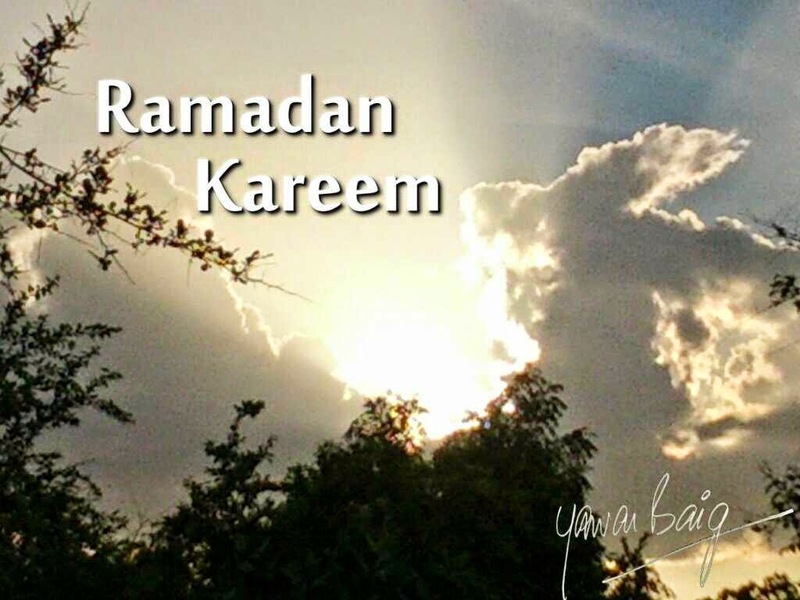 Ramadan comes every year to remind us of the purpose of our existence. To give us the opportunity to take time out and reflect on where our life and our ways are taking us. To enable us to take stock and make significant changes in our priorities, values and behavior so that In-sha-Allah when we return to AllahY it will be to receive His Mercy, Forgiveness and Jannah. I remind myself and you to take full advantage of this month so that we are able to reap all the benefits that this month comes laden with. But like the clouds that come laden with moisture and life giving rain – the only farmer who benefits is the one who has tilled his fields and dug his irrigation channels. For the others the rain simply falls on the ground and flows away leaving their fields dry and barren. Let us ensure that by making Tawba and sincere effort to correct our ways and by bringing our lives on to the Sunnah of Rasoolullahr we are able to take full advantage of the rain of mercy and forgiveness that Ramadan brings and that the promise of freedom from the fire comes true for us. Which is more magical? More peaceful? More dynamic? 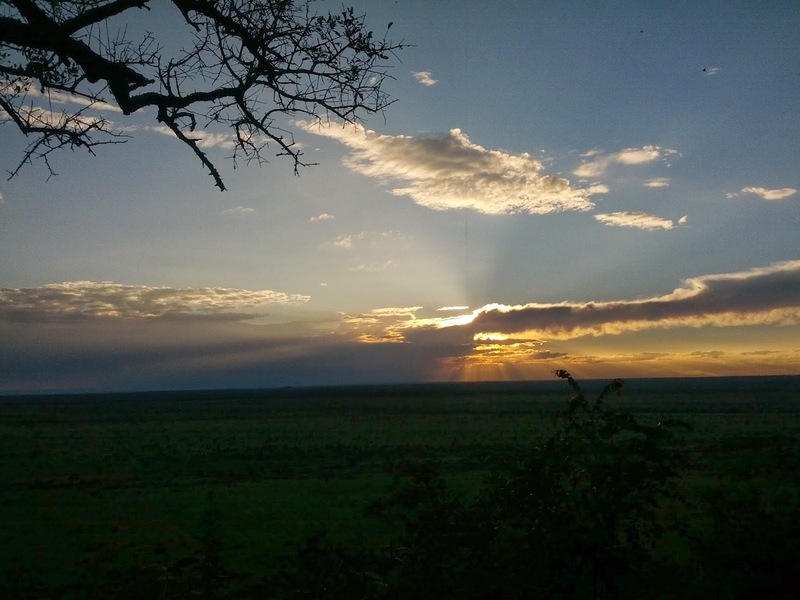 Dawn or dusk in the bush? Dawn with it’s rapidly strengthening light promising a clear, hot day or dusk with light decreasing gently promising a night of peace, danger – life and death struggles, full or empty bellies – rapidly beating hearts – all dependent on who you are. The hoot of the owl as he sits on his favorite perch ready to take flight, scanning the dark earth with eyes which catch the lowest of light and see what others can only imagine. His ears, aided by their asymmetric position and his flat reception-disc face listening for sounds of the whisper in the grass as a mouse searches for food – little realizing that he is himself being ‘searched’ as food. Then he flies off on silent wings without a hint of the menace that he is for those who are close to the earth. There’s a lot of water in the Kruger at this time, thanks to unprecedented rains and so we saw a lot of Waterbuck – all of whom sat upon the toilet seat before the paint was dry. Underlines the benefits of low pans which would have saved this rather embarrassing situation. What an amazing detail of creation where one species has this completely unique marking not shared by anyone else! The Waterbuck herds are shepherded by the dominant male with his beautifully symmetrical horns – lethal for the inexperienced lion or leopard. Like all antelope and deer, they are curious and run a little way off and then stop to look back at what it was that scared them. And that is what gets them killed – for the hunter waits for that stop which he knows is coming. But it also gives you the best photo op and here is one result. The Kruger Bush Camp had been a dream of several years standing when I received an invitation from Honorary Ranger Mr. Farouk Hassan to participate in the camp from March 27-30. I was delighted to say the least and accepted with great alacrity before he could change his mind. How do you describe the experience of sleeping in a tent listening to lions roaring on the other side of the river? Or hippo grunting as they bathe in pools opposite your tent? The joy of a nature walk which opens your eyes to the so-called small things – each a marvel of creation which truly gives meaning to the phrase – ‘God is in the detail.’ How can I describe the powerful healing power of silence – simply sitting in the shade of the trees in the camp, listening to the birds and the soothing gurgle of the river hurrying along to Mozambique? Mr. Farouk Hassan’s knowledge, combined with his patience in explaining, his beautiful manners and friendly and highly approachable nature – I truly regretted when the camp ended. For me the bush camp was not so much about what we saw – and we saw many things apart from all the Big Five – but about being in the midst of nature, the creation of Allahﷻ who we worship and whose signs we see in His creation. It was about linking myself to my Creator by seeing His Majesty and Glory in a simple spider web or in the fact that the Diddiric Cuckoo lays eggs of 18 different shades depending on the host species whose nest she chooses for her egg. In each of these small things – which we tend to miss when we rush around Kruger in search of the elusive lion – is a story of the Majesty of the Creator that is amazing, inspiring and comforting. I was also very fortunate to get some photography lessons from Mems which I hope will enable me to improve my skills. The catering, care-taking and warmth and affection of the two Yusufs and their team, all made the bush camp an experience never to be forgotten. I look forward to using these learnings in my lectures to get people interested in nature and to drive home the importance of conserving and protecting it – because our own welfare and survival is intrinsically linked to it. I would like to thank Mr. Farouk Hassan and all the Management of Kruger National Park for inviting me to this camp and to say that I am very happy indeed to have come all the way from India to participate in it.